The countryside, towns and cities of Britain are full of churches. They represent some of the most iconic, beautiful and occasionally bizarre buildings in the country. They have a lot to say about our history, our art and our ideas. But how do you read them? 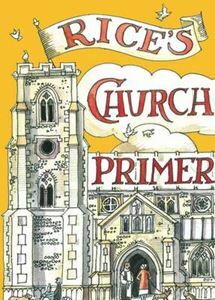 Through charming illustrations, Rice's Church Primer reveals the basic grammar and vocabulary of church architecture throughout the United Kingdom. As Matthew Rice says, 'Once you can speak any language, conversations can begin, but without it communications can only be brief and brutish. The same is the case with Architecture: an inability to describe the component parts of a building leaves one tongue-tied and unable to begin to discuss what is or is not exciting, dull or peculiar about it.' Rice's Church Primer explains the language of architecture in churches, from the restrained Norman style of William the Conqueror to the gilded excesses of the Baroque. The primer begins with an explanation of the basic 'Grammar' of churches: elevation, plan, fronts, vaults and towers. This allows the reader to easily understand what follows. Next comes the 'Vocabulary' of styles in chronological order, from ancient Saxon churches to modern cathedrals. Each period covers component parts like doors, windows, towers, pews, panelling and pulpits. Finally, there is a map pinpointing some of the best churches around the country, so you can practise your newfound fluency in real life. With Matthew Rice's elegant and witty illustrations to guide you, suddenly you'll understand why naves are necessary, why towers are built as tall as possible and why sometimes even the most respectable church needs a good flying buttress.